Any furry friend can dine in style while still being kind to the planet. 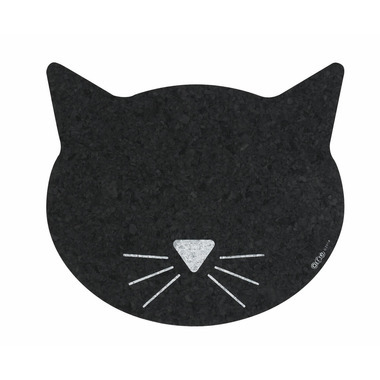 Uniquely shaped like a cat head, this placemat is sized just right for small cat bowls. Made in the USA of recycled rubber, both durable and functional. Protects floor from food spills while creating a place for your pet to eat. Size (inches): 12.00 w x 12.00 h.